We just finished a new floor and kitchen in Palm Harbor, FL. With all the beautiful lights under the counter, it sure does look more open and bright. We also opened the wall to make a nice counter bar. 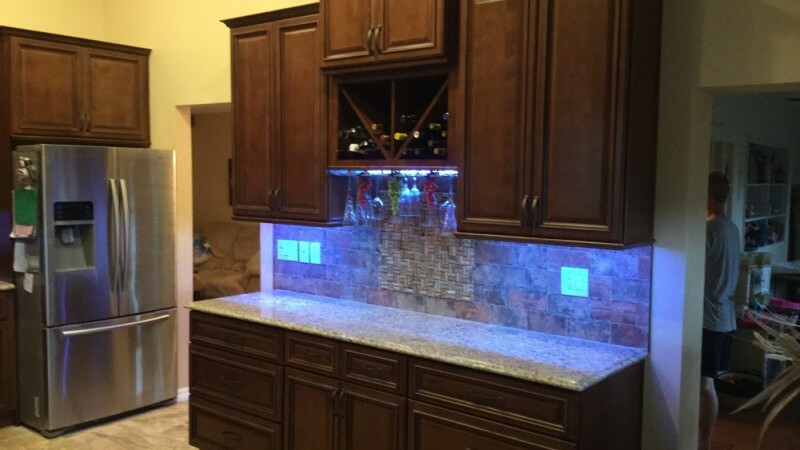 If you notice on the back splash they used wine corks to accent the wine area.